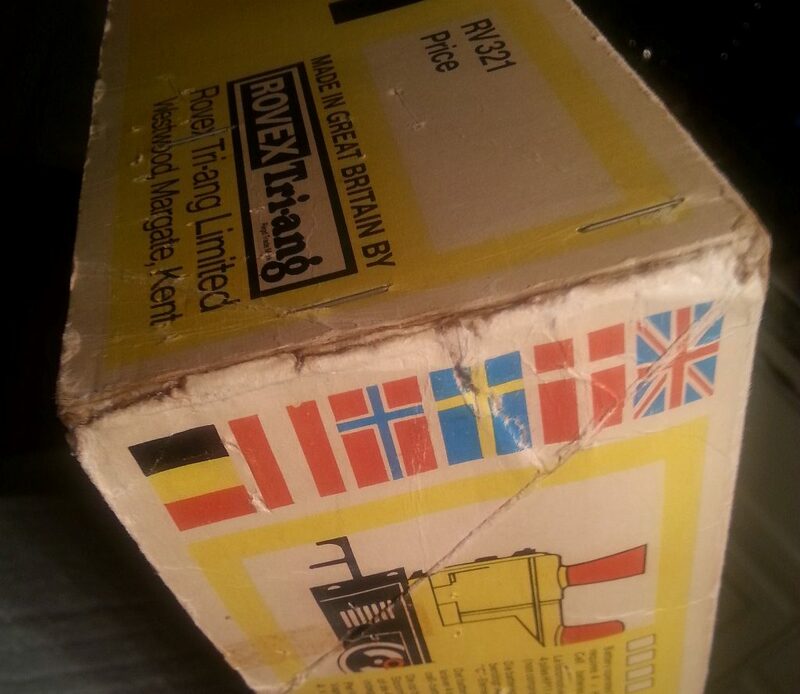 I was the highest bidder on a Big Big Train Lumber Camp set in its original box. 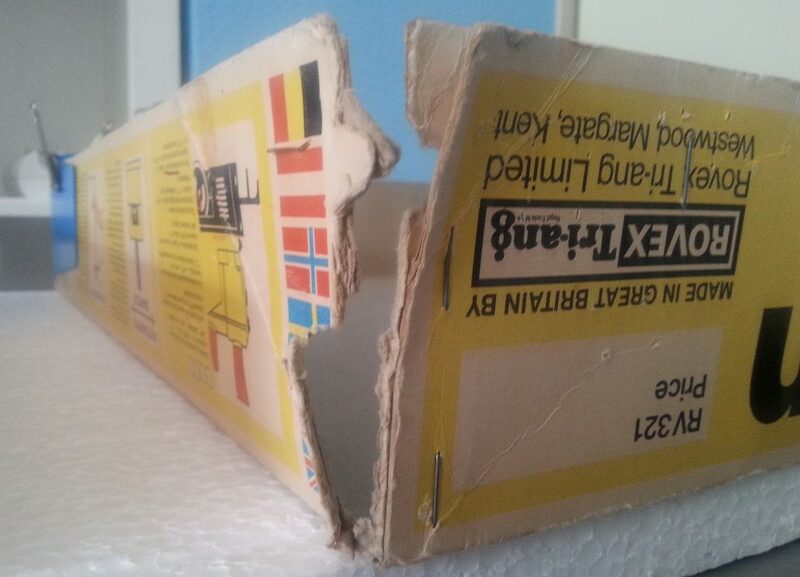 The artwork on the lid of the box was still in very good shape. 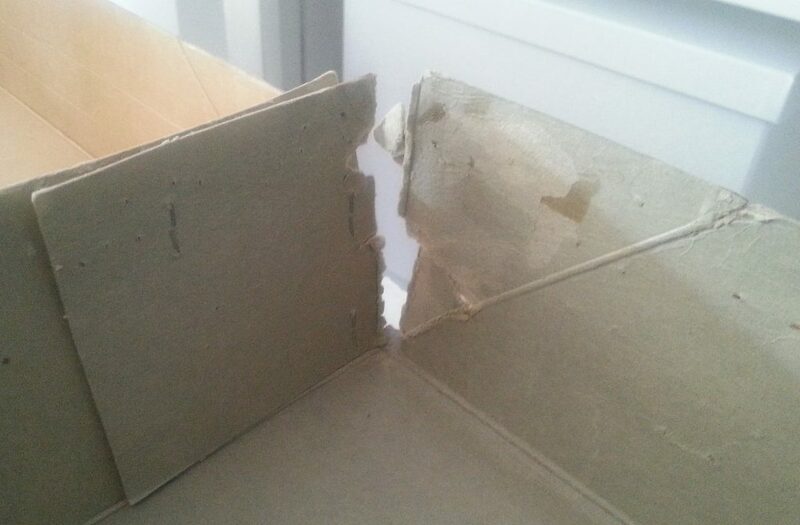 The lid itself sadly had some severe blown corners. 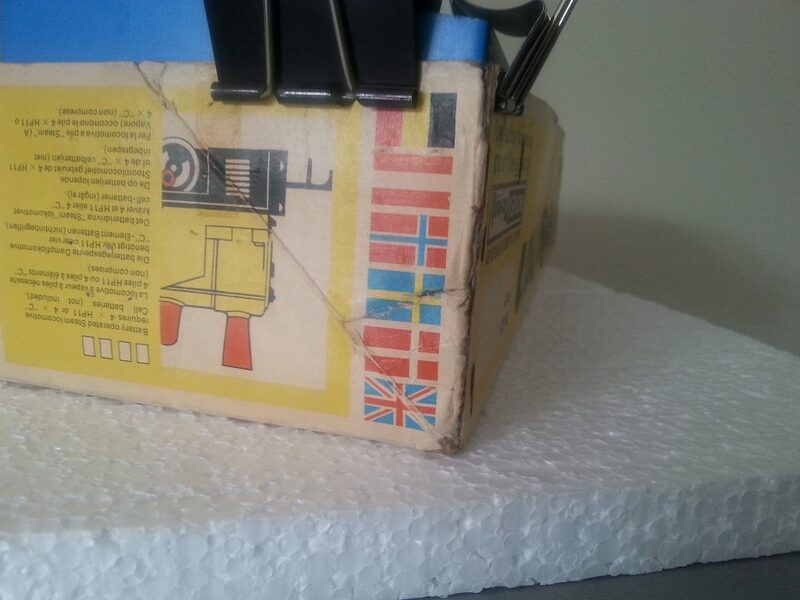 I thought to give it a try to restore the lid of this box. 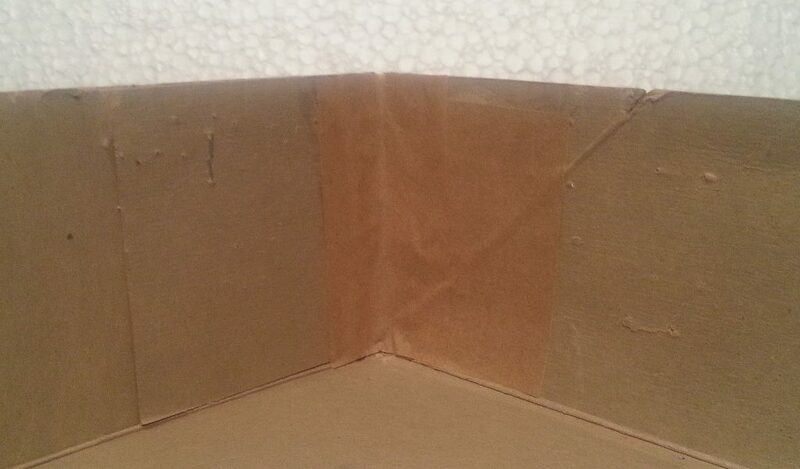 I had done this before but never on damaged corners like these and also with just ordinary white PVA glue. 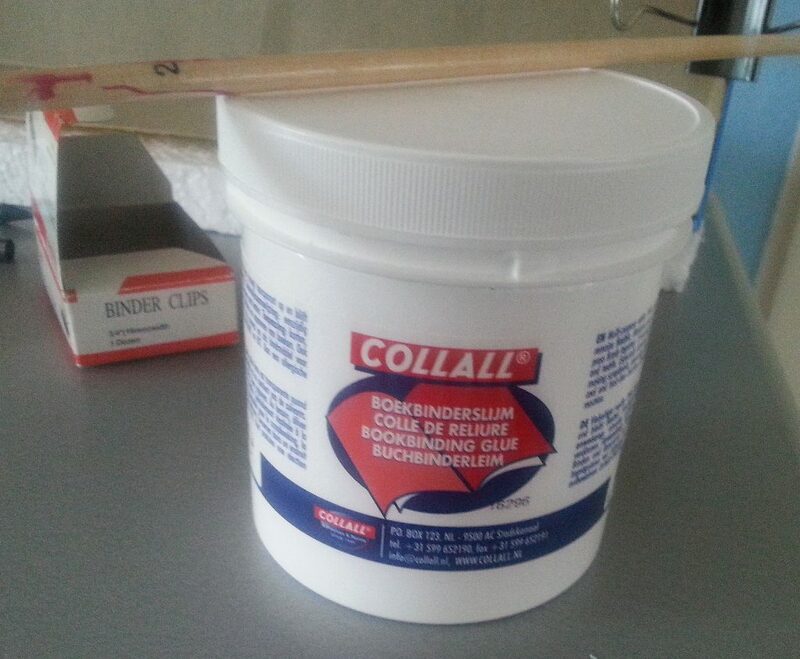 I started browsing the web for some info and as a result I decided to get me a jar of bookbinding glue and some gummed paper tape for the job this time. I first started to glue together the smaller rips on either side of the corner. As I said I decided to use bookbinding glue this time. This glue is strong but flexible and is transparent when dry. I used this product below but any bookbinding glue will work fine. 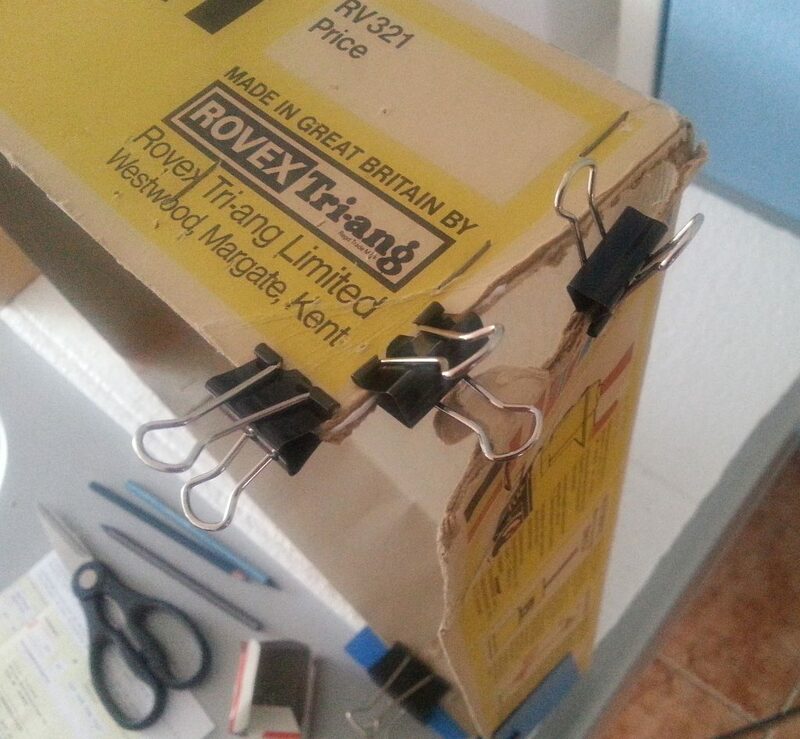 I also used several binder clips to hold the pieces in place. 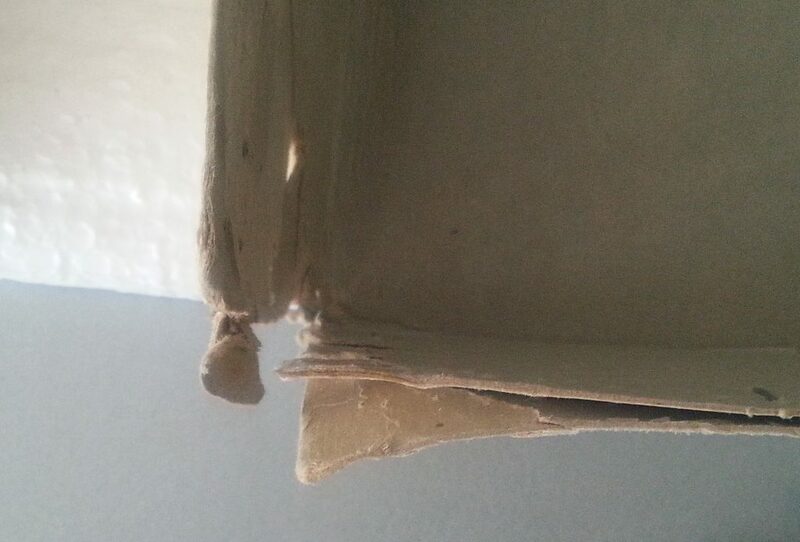 When the glue was dry I glued both sides of the corner together with support of a bookend in this case. 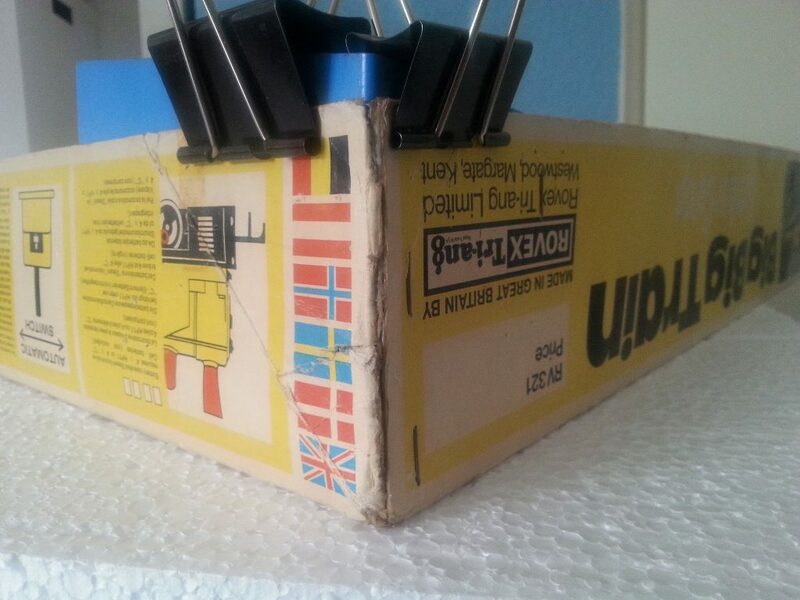 Anything with a 90 degrees angle will do as long as you can clip it onto the box to support it and keep the corner in place nicely. 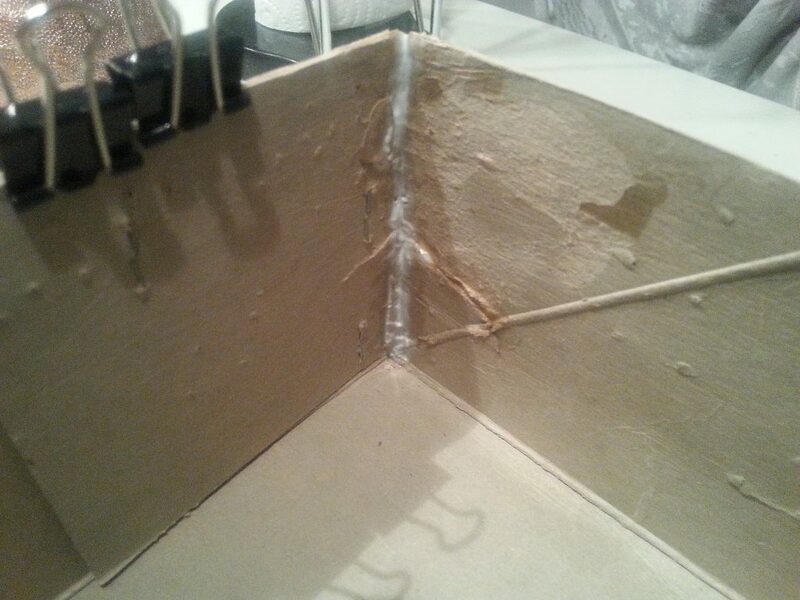 The next picture shows the inside of the repaired corner with the support removed and with the glue still not fully dry. 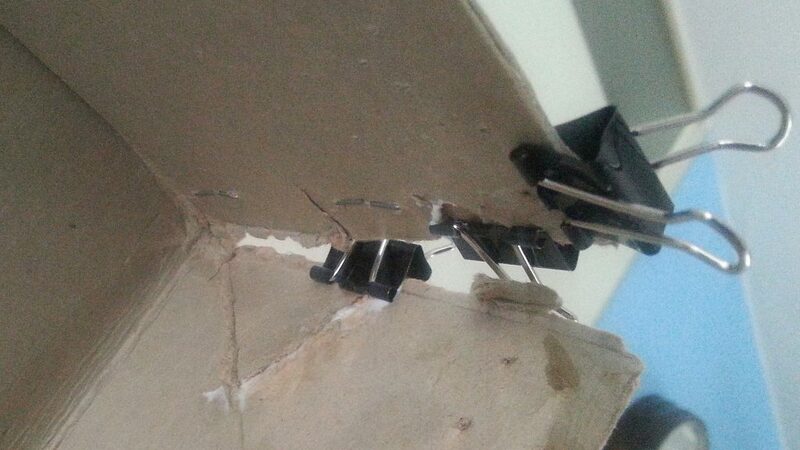 When the glue is completely dry and thus transparent it was time to reinforce the inner corner with some gummed tape. This tape has a layer of water activated gum on one side which sticks very good to paper or cardboard. I think the end result was a great improvement. I was very happy with it and I think the overall shape of the lid was worth it to put in the effort. 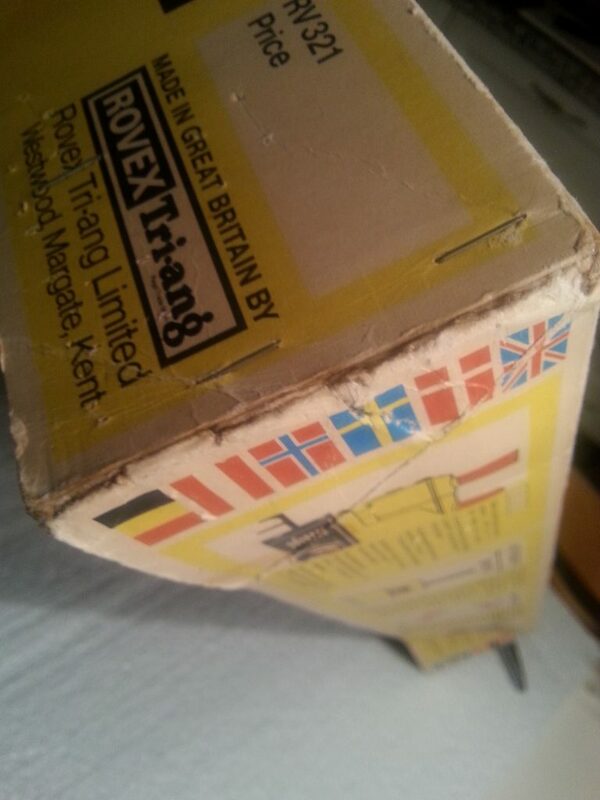 I would encourage anyone to do this to preserve a nice boxed set.